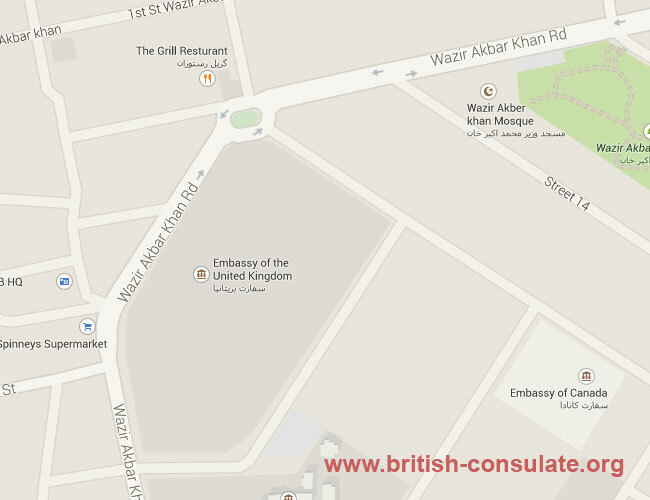 There is a British Embassy in Kabul Afghanistan for British expats and those Afghan nationals who wish to apply for a British Visa to visit the United Kingdom. The office hours have been listed below as well as the contact telephone numbers and a map. If in Kabul it should be very easy to find as most of the Embassies and Consulates in Afghanistan as located close to each other. Note that the British Embassy in Kabul is closed on a Friday as it is a Muslim country.